Plone is quickly gaining a reputation around the world as a world class CMS is now reported to include 55 European, North and South American, and African Public organizations. The goals of this initiative include developing applications and systems suited for administration and organization. 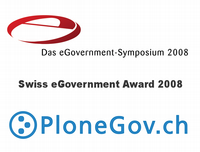 European, African, North and South American Public organizations participate in the PloneGov project. In doing so, they aim to gain independence from large IT services providers by developing, in a cooperative manner, applications and websites for their own use as well as for their citizens’. Plone delivers: Initiated by regional, state and national advocates in collaboration with the Plone, Zope and Python Communities. The project spans cities, regions and parliaments, in 15 countries, on 3 continents. It's not just for running a nation. Robust solutions can help in all areas of administration including municipalities, counties, cities and towns. The scale is different but the general needs to administrate departments and resources are the same. The system is flexible and extensible, customized with add-on modules. Collaborative data and information management in real time. The system is web-based, therefore all the users need is a web browser, no need to install any software. With Plone, even local government administration can take advantage of the same systems used by states and national organizations.